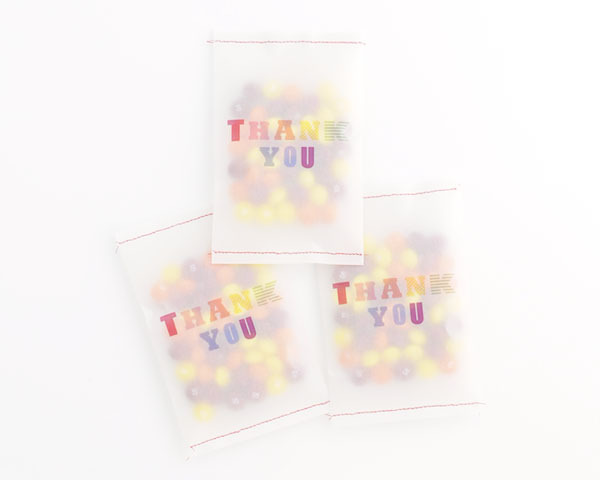 It’s always a nice idea to show your thanks with a little sweet treat. 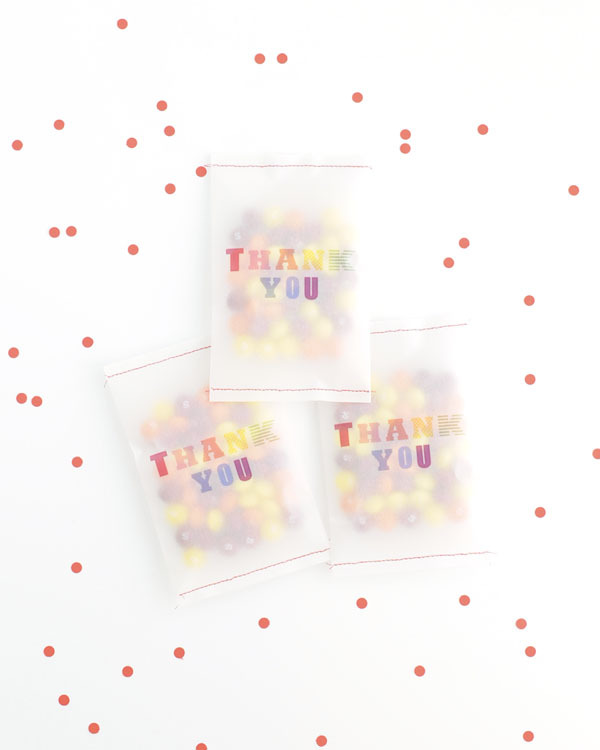 You can make these simple thank you bags for party guests or for anyone whom you want to say “thank you” to. 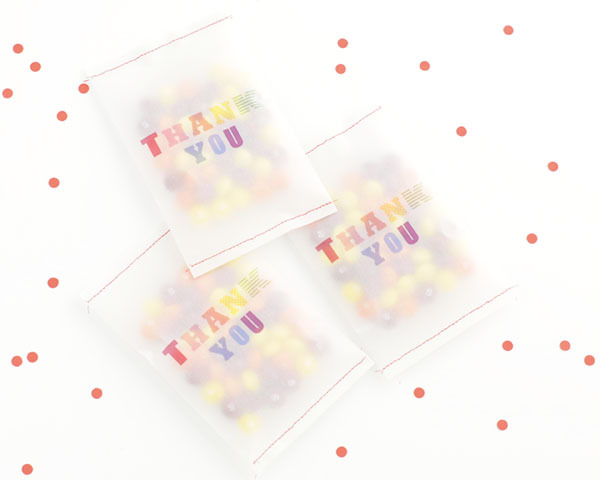 These translucent vellum thank you bags show off the sweet treats inside and can be stitched closed or sealed using washi tape or adhesive. 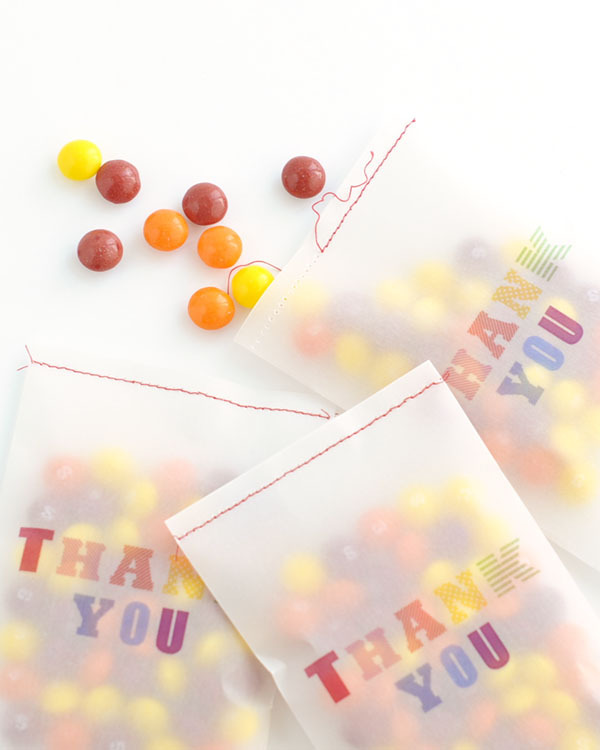 Step 1: Download Vellum Thank You Bag printable. Print onto 8”x5.5” piece of clear vellum. Step 2: Use bone folder and fold each side in 2.25” from edge. Step 3: Secure overlapped edges with clear adhesive. Step 4: Stitch bottom of bag 0.25” from edge. 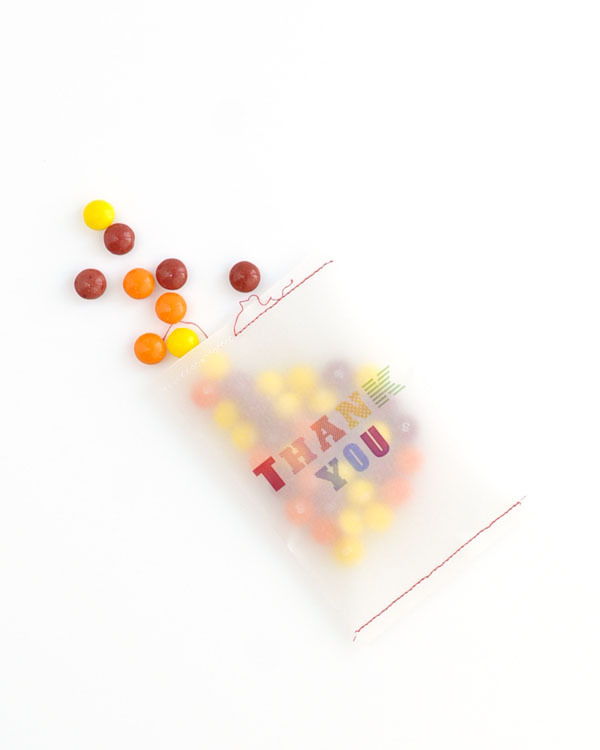 Step 5: Fill bag with candy or goodies. Step 6: Stitch top of bag 0.25” from edge. Aww this is wonderful!! the idea and the way to say it..it looks amazing!! We never tried before to print in this paper but looks fantastic, si i guess is time to try it!! Just darling! And so easy! I love the color palette and the differing patterns. Thanks so much for sharing! So beautiful and fun! Thank you for sharing!! This is brilliant! I absolutely love the idea of printing on vellum. This has inspired me! I saw the confetti DIY projects that you posted the other day. 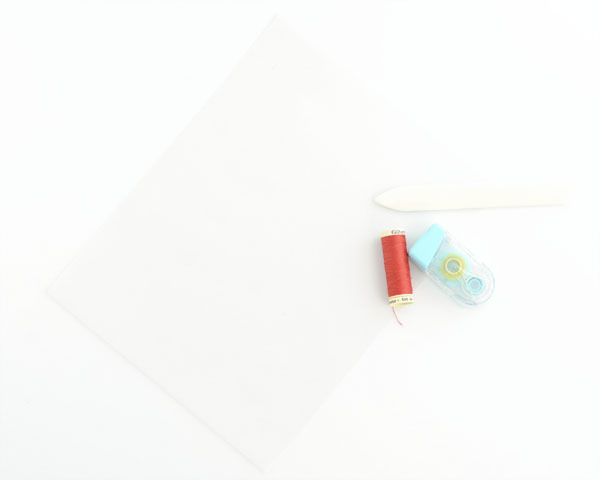 The vellum paper would look wonderful with confetti inside as a party invitation! Thanks for posting!